In this exciting game you become an experienced special forces fighter. You will become a party to dangerous street battles. Each player has an interesting opportunity to speak on the side of the enemy on the other side of the barricades. 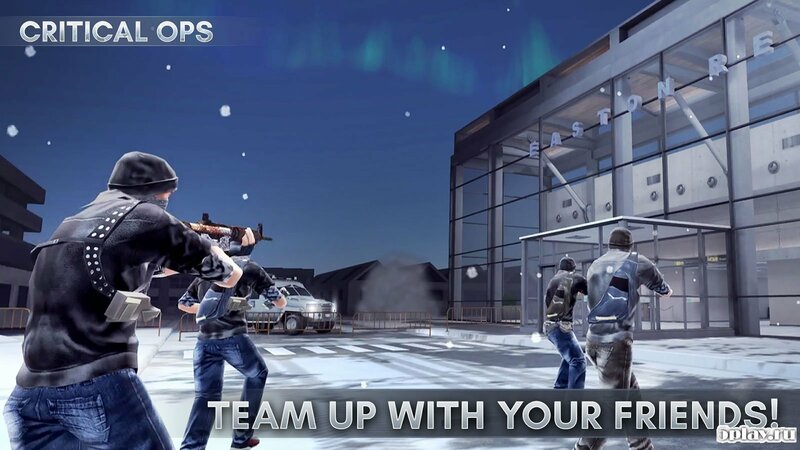 The gameplay of the shooter Critical Ops is an improved alternative to the game Counter Strike, which is still popular today. This mobile copy will please many fans of undeservedly forgotten computer games. Create your account and start playing. Full gameplay is designed for 20 participants. Accordingly, 10 players in each of the warring parties may take part in the battle. In addition, there are options in which the number of participants can be reduced to 10 players (5 people in each opposing team). 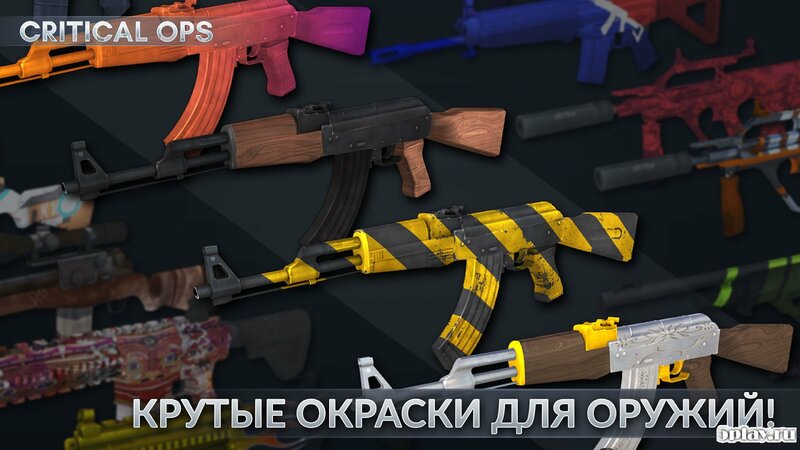 The game functionality is very diverse, and is identical to that present in Counter Strike. As in the old version, you will have to get a new armor each round. 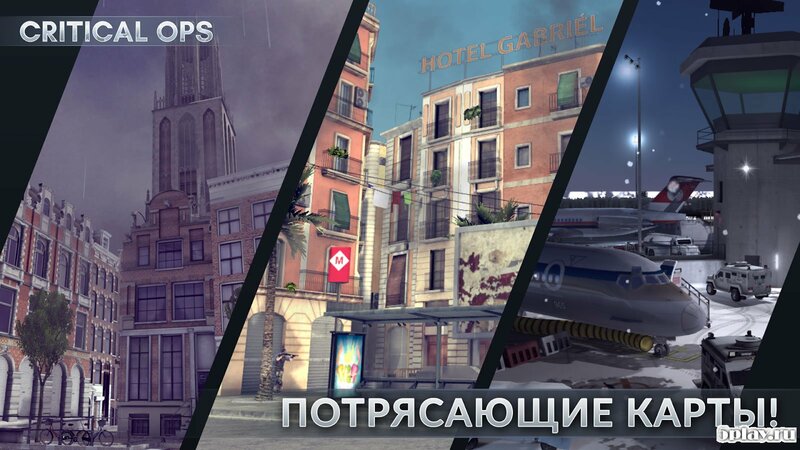 Graphics Critical Ops has excellent quality, not inferior to the excellent capabilities of the original version. If we consider the specifics of management, then we will see a fairly simple and accessible game interface. The two main indicators, health and armor, are, as before, in the upper left corner of the screen. Below is information about the amount of ammunition remaining and available game currency. All camera turns and running are controlled by two joysticks.